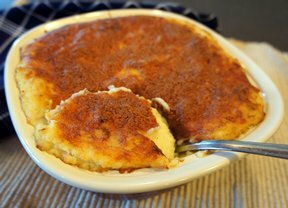 Creamy mashed potatoes with cauliflower and cheese. A great change-up from a classic side dish. 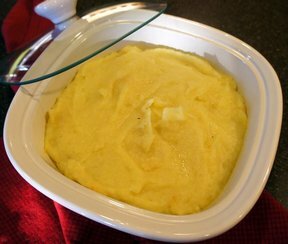 You'll never want plain mashed potatoes again. Place potatoes and cauliflower in large saucepan. Add water to cover. Bring to boil on high heat. Reduce to medium and simmer for 20 minutes or until potatoes are fork tender; drain and return to pan. Add sour cream. Mash until light and fluffy. "Delicious! 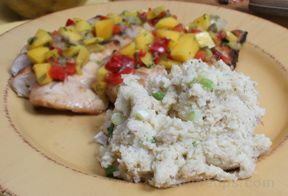 I used Yukon Gold potatoes and added a little butter. 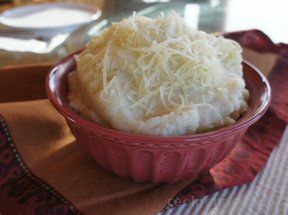 I really do think I like mashed potatoes better with cauliflower in them."